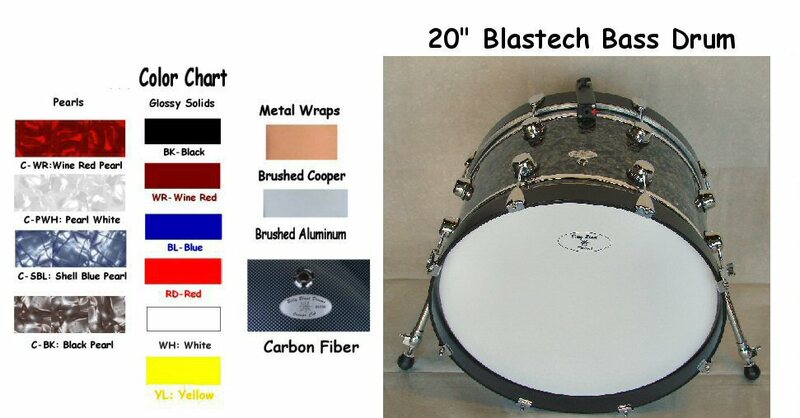 with a 8' Trigger Cable, and the real beauty of it is, it's just like all my Blastech Drums you can play it Electronically or Acoustically. Either way your going to sound great! "SOME TIMES YOU WANT THE CHOICE AND NOW YOU HAVE IT"
Tell Me What Finish You Want!